Did you get to the beach in the last two weeks? With weather getting better in some areas, it's a chance to get some exercise and, hopefully, some interesting sea glass and other beach finds. Here in Peru, many are suffering due to the flooding after unusual heavy rains - dead 101; lost their houses 141,000; damaged or affected people 939,000 as of today's news. 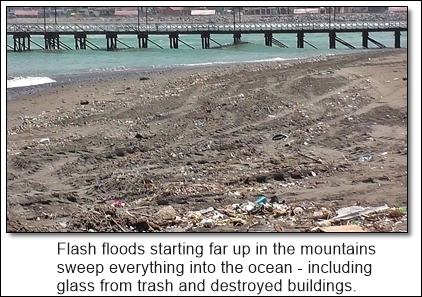 In our beach town, Huanchaco, we had some flooding and lots of mud and water damage along the beach road. We are three blocks back and didn't get any ill effects. It is interesting to see, though, the huge sea glass replenishment going on. We personally saw what we estimate to be hundreds of tons of trash pouring into the ocean along the beach where we usually walk. The plastic and wood will wash up or out to sea. Organic trash will decompose. The glass will remain near the shore. Of course, the broken glass will not be ready to collect for at least a couple of years, but it will be interesting to observe the process. 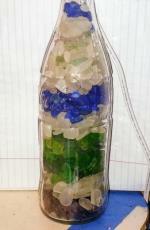 What part of the beach is good for sea glass? 1 - On a sandy beach, look to see if there is any place up or down the beach for cliffs or rocky points. Head for that area. The sand is generally not as deep in those areas, keeping the beach glass closer to the surface. 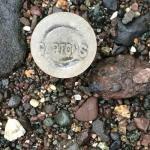 2 - On a beach that is sandy and pebbly, look for areas where the currents have deposited little "gravel beds." 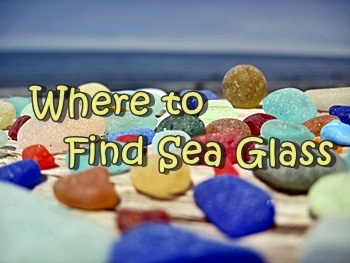 Sea glass is usually smaller than a US quarter (25mm). 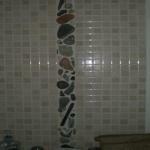 It tends to remain with pebbles smaller than a quarter when dragged to a fro by the currents. 3 - On a rocky beach, look for the areas with pebble size rocks as above. 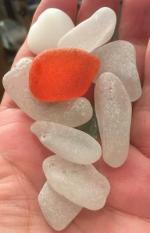 On any given beach of any size - if you don't find sea glass within a few minutes, start walking and keep walking while looking. Currents tend to leave sand, sea glass and pebbles, and rocks in layers. As you walk, look for a change in the layers that have been exposed in the latest tides. The April 2017 Photo Contest is Open and Running! March 2017, Anglesey Crab Claw. Gonna Need a Bigger Boat! 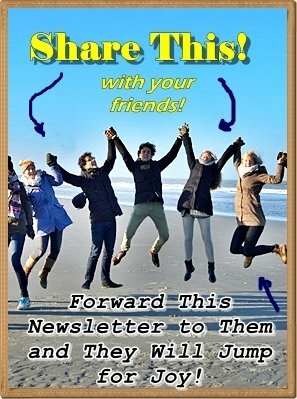 Continue reading "March 2017, Anglesey Crab Claw. Gonna Need a Bigger Boat!" 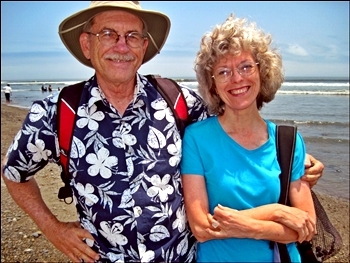 Continue reading "Wellington, NZ (small beach near the airport)"
Continue reading "Sea Pottery Plaque"
Continue reading "Playa Zicatela, Oaxaca, Mexico"
Continue reading "Beach Glass Mystery"
Continue reading "Orange! First orange piece found - March 2017 Sea Glass Photo Contest"
Continue reading "Puerto Angel, Mexico"
Continue reading "Butterfly Carnival Glass?" Continue reading "March 25 2017, Peter's Cove, Pender Island British Columbia Canada"
Continue reading "Lake Michigan in Sheboygan WI on 3/23/2017"
Continue reading "Playa Ocho San Juan Puerto Rico"
Continue reading "Sea Glass Lamp"
Continue reading "Happy Face Marble Surprise!" Continue reading "Glass Beach Fort Bragg California"
Continue reading "Jackpot in the Dunes - March 2017 Sea Glass Photo Contest"
Continue reading "March 2017,Cemaes,Pebble Tiling"
Continue reading "Pink Cotton Candy - March 2017 Sea Glass Photo Contest"
Continue reading "St Paddy's Day Gifts - March 2017 Sea Glass Photo Contest"
Continue reading "What Was It?" 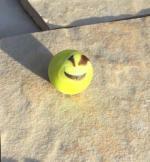 Help ID this interesting find. 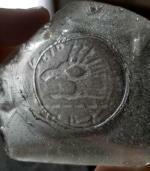 Continue reading "Help ID this interesting find." Possibly Black Sea Glass from between Manly and Shelly Beaches, Sydney, Australia? Continue reading "Possibly Black Sea Glass from between Manly and Shelly Beaches, Sydney, Australia?" 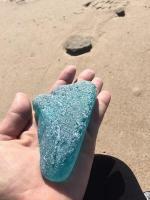 Continue reading "Green "Scotland" sea glass found in OBX"